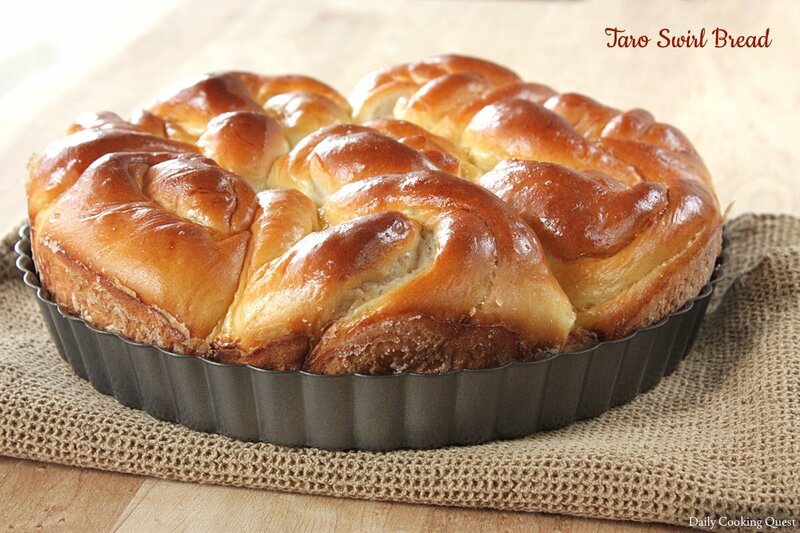 Today, I am sharing a recipe to make taro swirl bread. I use taro paste from my previous taro paste recipe, so if you want to make this bread, please refer to my previous recipe to make taro paste before hand. 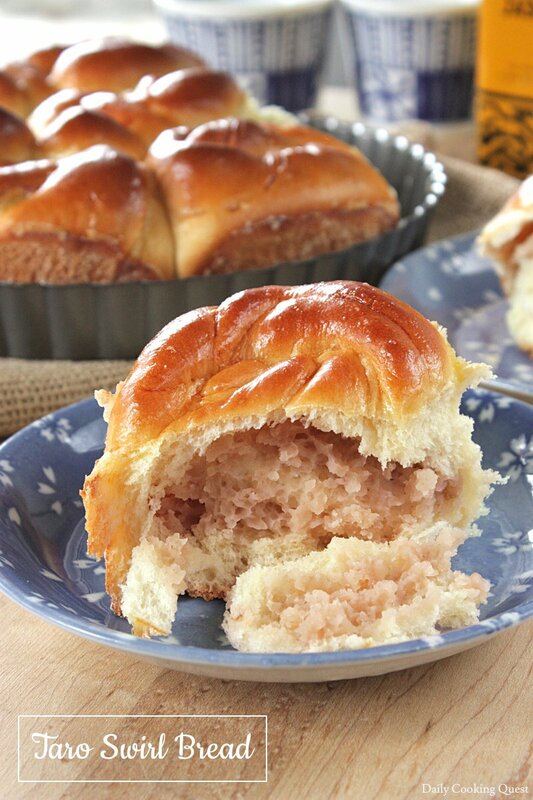 Or, if you want, you can use red bean paste too to make this lovely looking swirl bread. 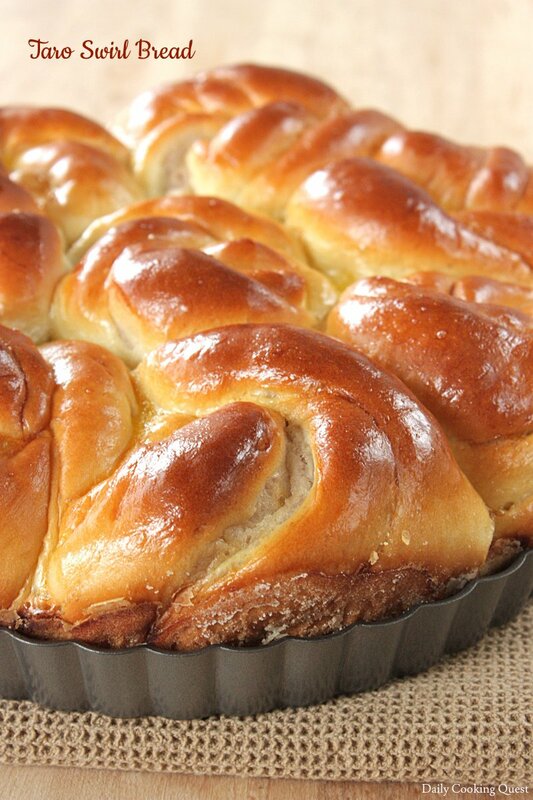 Step by step to make taro swirl bread. I use killer toast bread dough from Victoria Bakes. 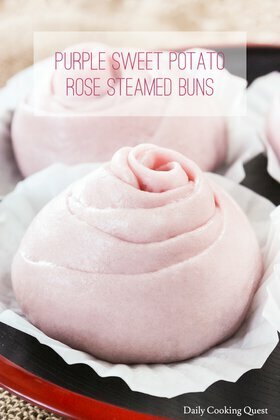 You can use other kind of bread dough too if you have your favorite bread dough to work with, but nowadays I use killer toast bread dough for about 70% of the bread I make, so I highly recommend this if you are still looking for your go-to bread dough recipe. 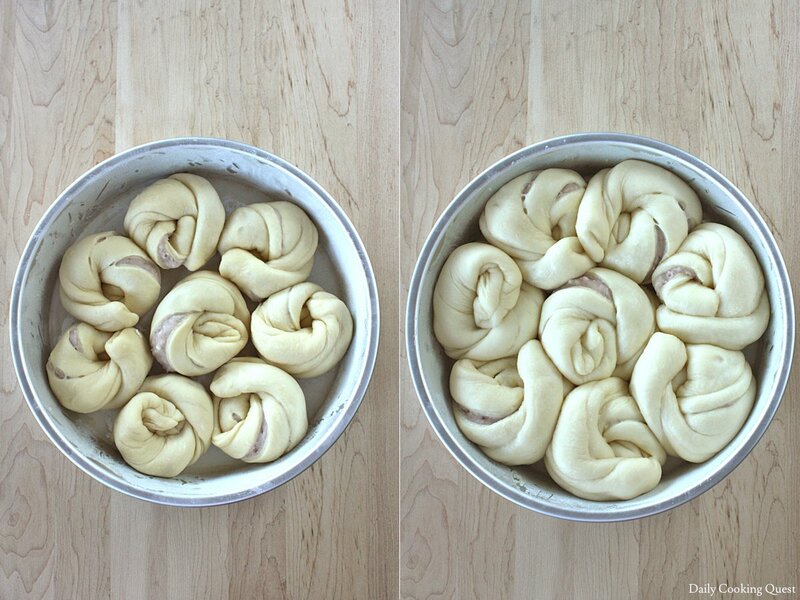 Taro swirl bread; left: prior to proofing; right: after proofing. Whichever bread dough recipe you follow, the most important point is to knead your bread until it is really soft, smooth, non-sticky, non-oily, and elastic. At the end of kneading, we want the bread to read a stage that bakers like to call window pane stage. This stage means that you can stretch the bread dough without the dough tearing, and it should be thin enough that light can shine through the stretched dough (a.k.a. like window letting light through). If your dough hasn’t reached this window pane stage, you know that you should keep kneading the dough. In any case, once you are ready to shape the bread, divide the dough into 8 portions. I think it is much easier if you can follow my step-by-step photo above on how to make taro swirl bread. Roll each portion into an oblong shape (about 3”x5”), spread taro paste on half of the dough with about 0.5” of the edges uncovered. Fold the dough to encase the filling, pinch the edges so the paste doesn’t leak out. Make two slits lengthwise. Pull slightly while twisting the dough a couple of times. Create a ring by connecting the two ends. Place swirled dough on to a greased and floured 9” cake pan. Repeat for the other 7 portions. Cover the cake pan with a wet kitchen towel/saran plastic wrap, and let the dough proof until the volume is doubled, about 1 hour in a warm kitchen. Once the dough has finished proofing, preheat oven to 180 Celsius (350 Fahrenheit). Make an egg wash by mixing together 1 egg + 1 teaspoon of milk/water. Brush the top of bread dough liberally with egg wash, and bake in the preheated oven for about 20-25 minutes, or until golden brown. Grease and flour an 9" cake pan. 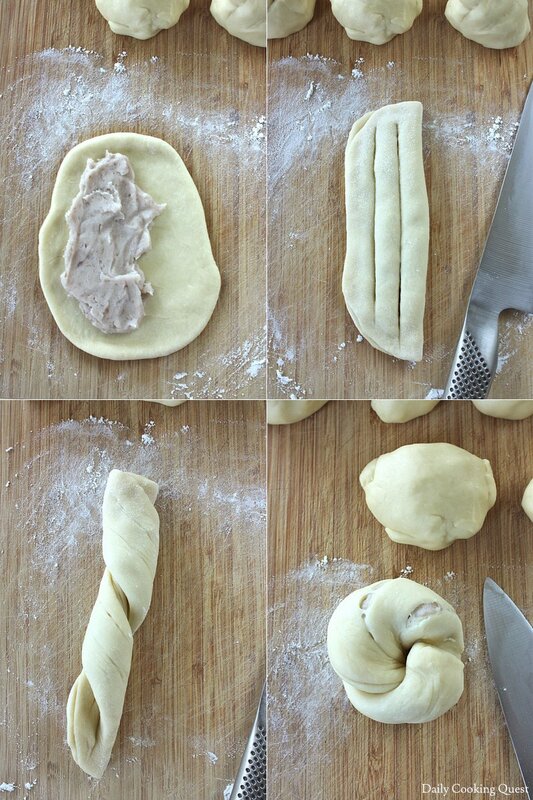 Divide bread dough into 8 portions. For each portion, roll into an oblong of about 3"x5". Spread 2 tablespoon taro paste to half the dough (lengthwise), leaving 0.5" of the edges uncovered. Fold the dough to encase the filling, pinching the edges lightly so the filling doesn't leak. Make 2 slits lengthwise. Grab each end with your hands, then gently twirl a couple of times, and connect the two ends to create a ring. Place the shaped dough onto the prepared pan. Repeat for another 7 portions.